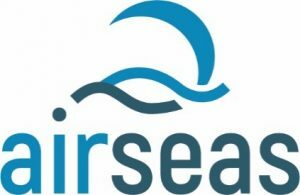 AirSeas is an industrial firm which had come out of Airbus, dedicated to delivering automated power kites able to tow commercial ships. Financed by ADEME, Région Occitanie and Pays-de-Loire; in partnership with LMG Marin France, ENSM, Nervures and MAXSEA, its main goal is to act for our planet. Seawing is an automated Kite based on parafoil technology used to tow commercial ships operating as an auxiliary to the engines. A simple button launches or recovers the kite. SeaWing unfolds, operates and refolds autonomously. The system automatically collects and analyses meteorological and oceanic data derived from its environment. It adapts to this information to optimize its performance as well as to ensure maximum safety. Furthermore, our software interface developed with our partner advises the captain when to use the kite and proposes the most cost-efficient route using the kite. Address 5 rue Humbert Tomatis, 31200 Toulouse France.